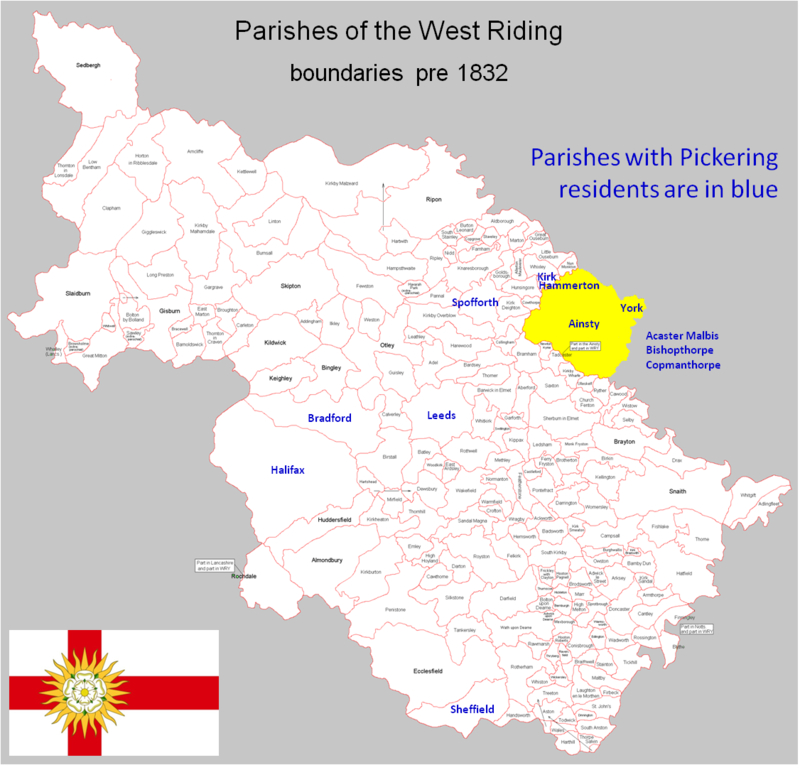 The following pages show the Pickering family trees according to the pre 1832 parish boundaries. Only the portion of the tree where the family lived in a particular parish is shown under the parish of that name. If the children of a couple were born / baptised in several parishes, they are listed initially as a family group in their parents’ parish, thereafter in the parish where most of them were born / baptised. The grandchildren are listed in the parish where they married and had children.